Dr. Dennis A. Johnson, Associate Professor of Sport Sciences at Wingate University, was elected Vice President of NCAAHPERD-SM. The election for Vice President was held in conjunction with the annual fall convention this past November in Raleigh. Dr. Johnson served as a public school physical education/wrestling coach in Pennsylvania for 23 years and has since been a PETE/sport management professor at Wingate University. He is also assistant coach in the cross country program at Wingate University. Dr. Johnson earned a BS (1976) and MS (1977) degree in Health and Physical Education from Marshall University (West Virginia). He went on to UNC-Greensboro earning an Ed.D. in Exercise and Sport Science (1999). Dr. Johnson’s academic focus is the psycho-social aspects of teaching/coaching. He teaches undergraduate and graduate courses in sport psychology, sport philosophy, coaching, and youth sports. 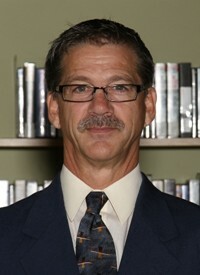 He supervises student teachers and sport management internships. He has authored two master degree curriculums (i.e., sport administration and PETE) and participated in a number of accreditations (NCDPI & COSMA) both as author and reviewer. Dr. Johnson has authored a number of articles for peer-reviewed journals and is co-author of The Coaches’ Guide to Nutrition and Weight Control and author of The Wrestling Drill Book (Human Kinetics) and Wrestling Drills for the Mat and the Mind (Momentum Media Sports Publishing). Dr. Johnson has been a member of NCAAHPERD-SM since 1996 and has extensive leadership experience in several areas. He began serving on the executive board as then-president Mary Lou Veal’s secretary. He then became involved with the Physical Education Association (PEA) serving as vice-president, president, and past-president from 2003-2006, then as an officer of the North College Conference in 2008 -2010 and program director for the PETE Reform conference in 2010. He served as the university representative to PEA in 2009-10. Dr. Johnson was involved in the PEPSE project and the Move More initiative. He has served on the editorial board of The North Carolina Journal. He also was instrumental in guiding his Wingate University students who were at the time in the leadership positions in NCAAHPERD-SM’s Student Majors Association to develop and implement the fall student leadership retreat. The SMA leadership fall conference has become a fall fixture since that time. More recently, Dr. Johnson has served in leadership positions at the regional and national levels. Those include a three-year term on the Sport Management Council in SDAAHPERD and a three year term on NASPE’s Sport and Exercise Academy (i.e., chair-elect, chair, past-chair). He also works with the Institute for the Study of Youth Sport at Michigan State University to deliver a Leadership Academy for NCAA college wrestling coaches every fall. Finally, he continues to make other professional presentations at the state, regional, and national levels. Dr. Johnson has one daughter Adrienne and is married to Melissa Conn of Warren Pennsylvania.